One of the best parts about planning a wedding is coming up with creative ways to honor your favorite hobbies and interests. Check out these unique wedding locations in Indiana. Bonus: you'll save big time on décor—these supercool locations speak for themselves! As the current home of the NFL Indianapolis Colts, this venue offers sport fan couples a once in a lifetime opportunity to celebrate your big day in grand style. Imagine saying ‘I do’ on the 50 yard line of your favorite football team as all your loved ones look on. Baseball ballparks….home to the national pastime, hot dogs, Cracker Jacks ... and in some cases, everlasting love. As a Indiana native, my favorite baseball team is the Indianapolis Indians. Their views of the downtown skyline and perfect manicured lawn are a great setting for a baseball themed wedding! Brewery weddings also offer a unique venue that comes with two huge bonuses: a larger variety of craft beers on tap and the ability to visit again and again to relive the day (unlike most wedding venues!) Not only are local breweries great venues for receptions, but also rehearsal dinners. Say I do at the Indianapolis Zoo or White River Botanical Gardens. Whether you’re an animal lover or looking for something out-of-the-box, the gorgeous gardens and spectacular spaces are sure to wow your guests. Bonus: Dolphins! The Indiana State Museum offers a beautiful terrace and overlook bridge with beautiful views of Indy’s serene canal & the downtown skyline. There’s no reason to go offsite for photos when it’s all right there! If you're a sailor at heart and dream of having your first married kiss on the water, then the Madam Carroll is for you! Guests cruise up and down the waters of Lake Freeman in Monticello, Indiana as they celebrate into the sunset. Among the thousands of people who crisscross the popular City Market in Indianapolis, very few are aware that just beneath their feet are miles of interconnected tunnels, constructed more than a hundred years ago. Although tours are available, I’m unsure (at time of publication) if renting out catacombs is still an option. Why pick a wedding flower, when you can have them all? Hosting your wedding at a flower farm will provide a beautiful backdrop and the flowers will not disappoint! From lavender to sunflowers, your options are endless. But be warned, while Indiana does have some beautiful flower farms, the sought after sunflower backdrop can be a rare find due to seasonality and locations. A spectacular rooftop setting is perfect for an outdoor ceremony overlooking downtown Indy or a cocktail hour under the stars or your reception. Indianapolis offers several options including JPS Events at Regions Tower, Fountain Square Theatre terrace and the Livery. The rustic and comfortable inn, the Story Inn, located in Nashville, Indiana, will not only cater to your needs, it will also make a believer out of you. 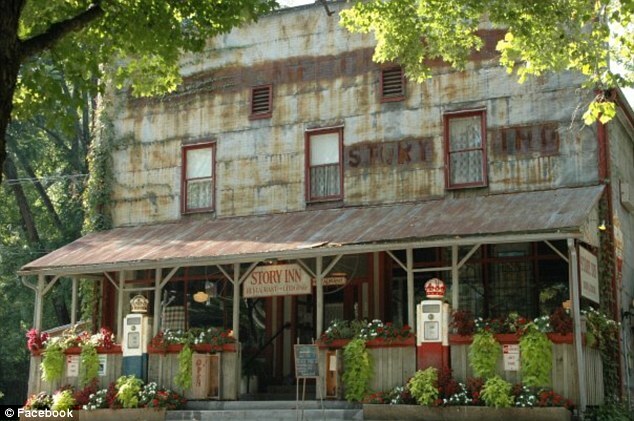 According to legend, there is a special room at the Story Inn. Just above the general store, it has three windows, a private deck overlooking a garden, a queen-sized bed, a large bathroom with a clawfoot tub and a paranormal resident referred to as the Blue Lady. Perhaps a building with some “history” is your ideal setting for your special day! If you and your spouse-to-be share a love of books, you could should “booking” a venue that's sure to end with "happily ever after." Check out the Indianapolis Public Library’s wedding page for inspiration. Even if you aren’t royalty, you and your fiancé can get married in these stunning Indiana castle wedding venues. Check out Clayshire Castle, Meyer’s Castle and castle-like Laurel Hall if you dream of a fairy tale wedding. Planning your wedding at the venue of your dreams? Our wedding management & day of coordination packages allow you to focus on love, not logistics. Contact us to schedule a consultation!